Bananas are one of my favorite fruits. One of the earliest cultivated fruits, they date back as far as 8000 B.C. Thanks to modern convenience, they’re available all year round, have great health benefits, and are incredibly versatile. In the morning, I love to eat one with breakfast. There are a lot of benefits from eating bananas, plus some ideas for using them! Bananas are great for your heart: they are packed with potassium, low in sodium, plus have other nutrients like Vitamins A and B6. Very easy to digest. These are one of the first things I start eating when I am sick. They are high in fiber, which also aides digestion. The high fiber and low sugar content also are great for weight loss. While not high in calcium, they contain fructooligosaccharides. (Don’t ask me how to pronounce it…) These are nondigestive carbohydrates that encourage digestive-friendly probiotics and enhance the body's ability to absorb calcium. Even the peels are high in nutrients! While not traditionally consumed in the west, the banana peel in eaten in many areas of the world. Definitely wash them before trying to eat them! Slice one up one your cold cereal or oatmeal in the morning. Great way to start the day with a fruit! Send in a lunch box for kids or adults. Great pick me up for midday. Banana Splits! Fruit and dessert in one! Can’t get better than that! I love banana on almost any ice cream, but paired with vanilla with a little caramel on top is fantastic. Another good way to have bananas as a dessert is to dip sliced bananas in chocolate, and then freeze them. Great little snack! Slice one. Spread some peanut butter on toast, and then top with the sliced banana. Another yummy snack! 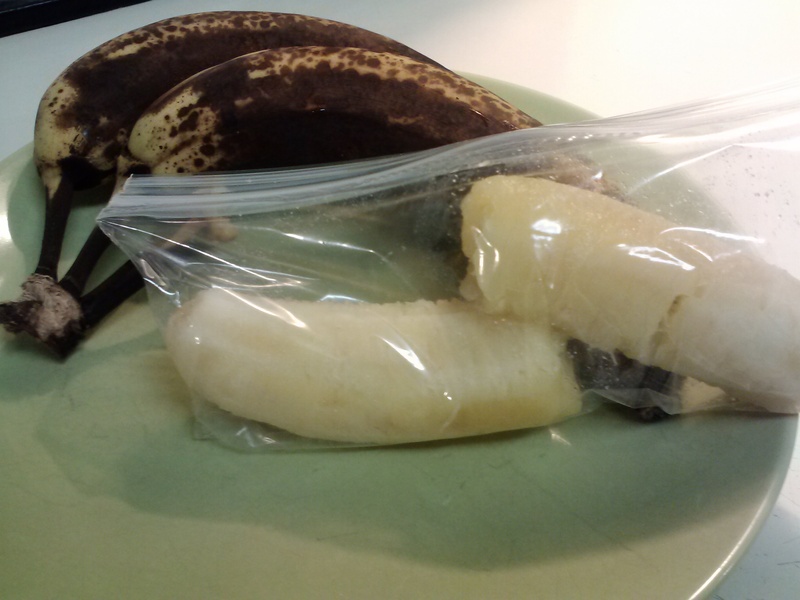 Ever get those ripe bananas that you’re just not ready to use yet? Peel them, stick them in a zip lock baggie, and freeze them! Frozen bananas are great in smoothies. I toss one frozen banana, a small handful of frozen berries, some fruit juice (I love to use pineapple juice, but other juices work great), some yogurt or milk together in a blender. Blend until smooth, adding ice cubes to thicken as necessary. I will do this with a piece of toast with peanut butter for breakfast frequently. Super yummy! Banana cream pie is one of my husband’s favorite desserts. Substituting a mashed banana for part of the butter or oil in a recipe helps make it a little healthier. Play with it a little, because it does change the texture when substituting ingredients! Fry a sliced banana in a pan until crispy (only a couple minutes!). Drizzle with honey and sprinkle with cinnamon. 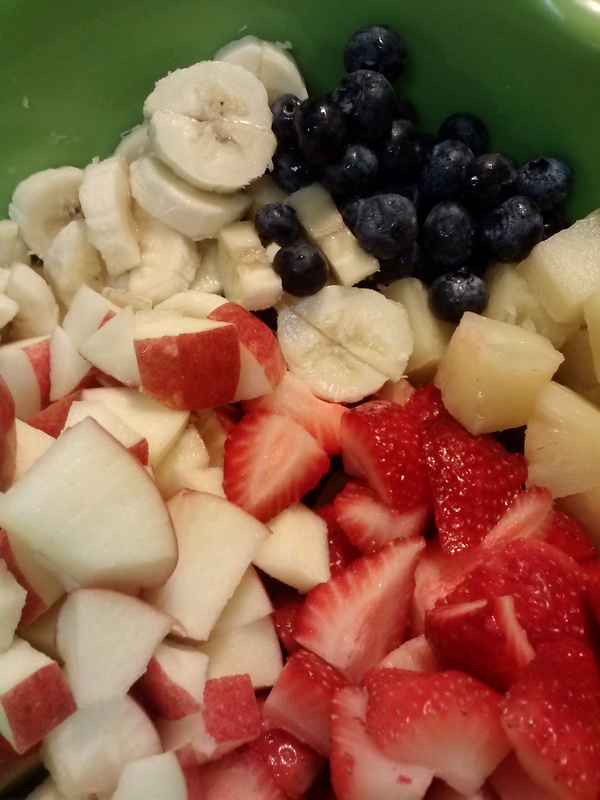 Great dessert that is mostly fruit and very healthy! Bananas are also great for fruit salads. 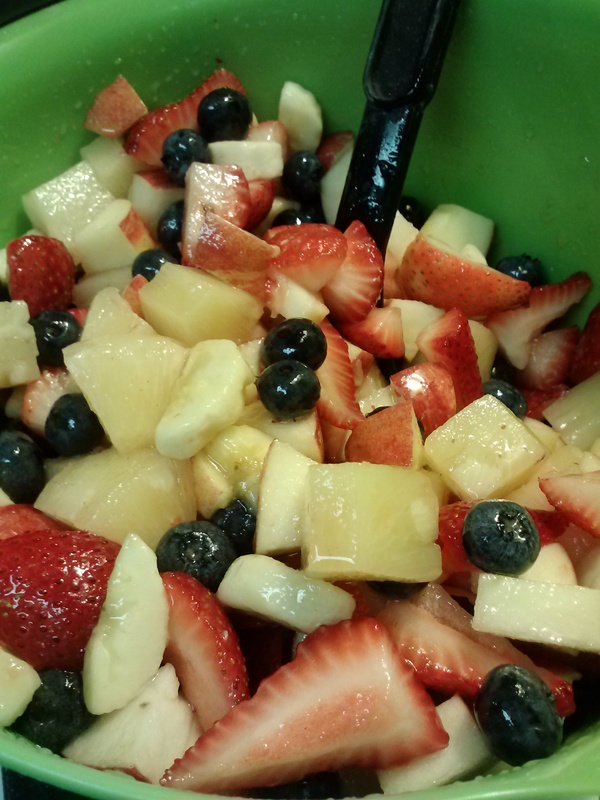 Here is one of my favorite recipes for fruit salad with a light dressing that blends it all together. Enjoy! Is a Home Garden Right for You?